This is one of those absurdly simple, low stress, maximum impact kind of crafts. Most DIY back to school projects lean in the feminine direction, but this one could work just as well for a guy as a gal. 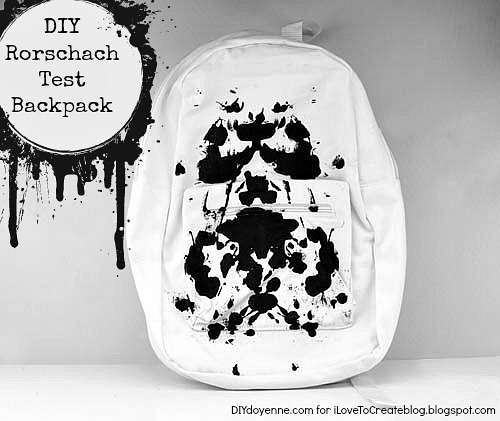 Use a washable white backpack (this is 100% cotton) and some black fabric paint and let your kid or teen do this themselves. This would look fabulous in neon colors too, but I love the bold simplicity of the black and white. They key is keeping it neat so you get a nice clean impression. 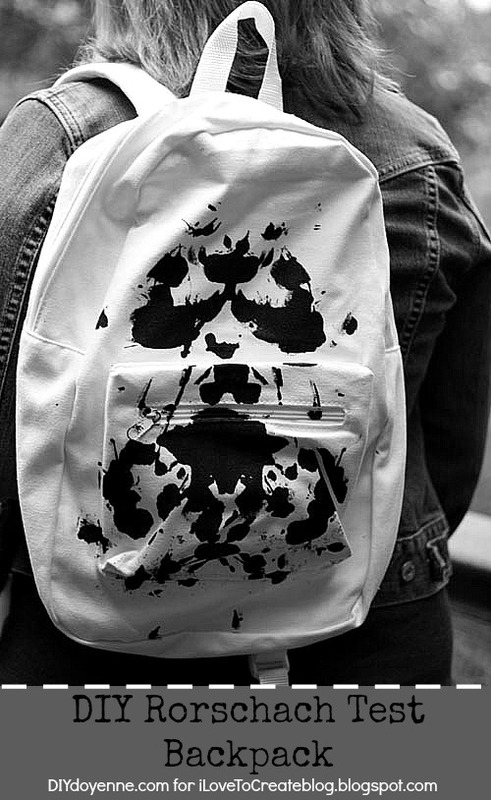 I'd give your teen a black Tulip fabric marker to take to school and let their friends write what they see on the backpack. So it's interactive, fun and a great conversation starter. Step One: Place backpack on a plastic bag or sheeting. Tuck the straps under the pack. Cover one side of the backpack completely with some disposable cardboard, you only want to get paint on one side. Step Two: Carefully fold the pack in half and press down firmly along the front to be sure paint gets evenly distributed. 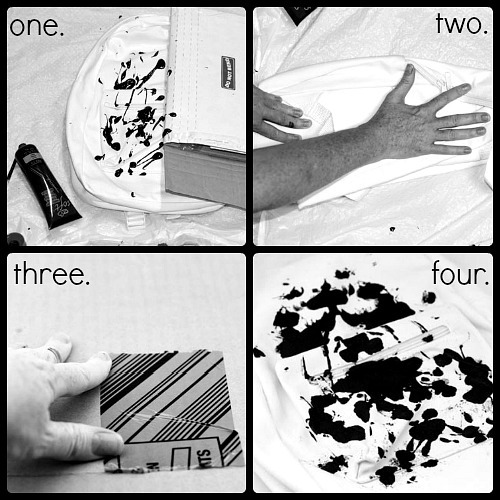 Step Three: Use cardboard or paper towels to blot up all excess paint. Step Four: Remove cardboard and allow bag to dry. That's it! Give your kid or teen a marker to take to school so their friends can write what they see in the open white spaces. This technique works beautifully on a clean white t-shirt or the reverse can be achieved with white on a black background. Try it on paper or with home decor items like pillows or comforters. Fun, fast, fabulous! What do you see? Let us know in the comments! Check out our website for more back to school projects and visit me (Margot Potter) at DIY Doyenne for more DIY fashion and style! Genius! What kid wouldn't love this? I bet it would be cool on a tee shirt as well.